What is Ganoderma lucidum? It's actually the scientific name of a certain medicinal mushroom that is very popular in Asia. It goes by different names. It is known as Lingzhi among the Chinese, Reishi among the Japanese and Yeongji among the Koreans. It has the color of red that's why it is also called as red Reishi mushroom. It is NOT an edible mushroom so it is not recommended for cooking unlike the Shitake or Maitake mushrooms. It is one of the medicinal mushrooms used extensively by the Chinese, Japanese and Koreans to promote health, strength and longevity for over 2,000 years. Among the Chinese people, Ganoderma mushroom is regarded as the "King of Herbs" (although it is NOT a herb which I found out from my research). Hiroshi Hikino, the world’s authority on the chemistry of Oriental medicinal plants, said "Reishi extract is one of the most important elixirs in the orient". "What is ganoderma?" was my first question when a friend shared to me in 2004 about how Ganoderma lucidum extract helped her family become less prone to sickness. 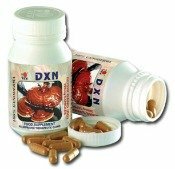 I'm from Asia where this particular mushroom extract is supposed to have the number one spot in traditional medicine but back then, I didn't know anything about what the Reishi mushroom and its extract are and what they are for. They convinced me about the health benefits this medicinal mushroom would provide me and my family. We started taking it as our supplement and after we did, there was no looking back for us. My daughter's severe asthma attacks stopped, my son's allergic rhinitis improved, my husband's monthly bouts with cough and cold lessened in frequency and my ultrasound test result just came back showing no abnormal growth in my ovaries and uterus. Let me share with you what I learned in the hope that you, too, will be proactive with your health and choose prevention over cure. First, let's get rid of a misconception. Mushrooms are NOT herbs. They are fungi. But their very nature makes them more superior than herbs. According to Paul Stamets who is a mycologist, "Fungi and the human body have more in common than higher types of herbs." He is the author of a fascinating book on mushrooms entitled "Mycelium Running: How Mushrooms Can Help Save the World". Ganoderma extract has more profound healthful effects on your body's cells compared to herbs. In traditional Chinese medicine, it is considered as a VIP. In fact, Ginseng only comes in second to Reishi extract in terms of importance. But for more than a thousand years, how Ganoderma extract works has been a mystery. People only knew the extract is highly effective in maintaining health but no one scientifically investigated why this specific mushroom has healthful effects. Thankfully, researches have been done on the mushroom by both Asian and other foreign scientists in recent years. The solubility of these elements makes it possible for your body to absorb Ganoderma extract easily and fully. Ganoderic acid is found to enhance immune functions. Because it is so important, it has been considered as molecule of the week in August 2005 by the American Chemical Society. Only Ganoderma contains triterpenoids. What about polysaccharides? They have been found to prevent tumor development and metastasis as discussed in the medical paper entitled Medicinal Mushrooms: Their Therapeutic Properties and Current Medical Usage with Special Emphasis on Cancer Treatments. The sad truth is mainstream Western medicine does not 100% recognize the beneficial effects of the Reishi mushroom yet. I believe this is because mainstream medicine still focuses more on finding the ultimate "cure" after the disease has set in. In contrast, traditional Asian medicine believes that prevention of any disease such as cancer is possible by sustaining balance within your body. This holistic type of healing the body believes that you can achieve balance through . . .
the use of natural immune supplements. But more and more health experts have been checking into medicinal mushrooms like Reishi. In fact, during the 230th ACS National Meeting in Washington, DC, medicinal mushrooms and their health benefits have been discussed. What I see is full recognition for Ganoderma's role for cancer prevention in the next 5 years.